Need to Sell - I Have The Game Plan! Born in Sherbrooke (QC), I grew up in this French speaking community until the age of 12 at which point my father decided it would be best for our family & his business to move to Ft. Lauderdale, Florida, which meant I had to learn English in under 3 months. Moving from a small French city to a massive English urban center like Ft. Lauderdale was not easy at first but I believe those early challenges helped me learn how to be able to adjust to any environments & changes that I would be facing during the rest of my life. During my high school years, I excelled in the classroom & through hard work I developed into a very good athlete which resulted in many athletic scholarship offers from major U.S. colleges and universities. I accepted a football scholarship to Boston College because it was (and still is) one of the best academic schools in all of North America & the football team was on the rise. Not knowing if professional football would be in the cards for me after college, I studied hard & graduated with a bachelors degree in business administration & finance. I also excelled on the field, playing all four years & twice being named an All-Star member in my conference (Big East) which are my proudest two moments of my athletic career. After graduation, I decided not to pursue a football career even though many opportunities were available to me both in the US & in Canada. I worked for the family business for two years as an office manager & coached the offensive line at Bishop’s University in Lennoxville (QC) which is where I realized I still had the "itch" to play. I eventually came back to football in 2005 & played in over 150 games over 9 fun filled years with Ottawa, Winnipeg, Saskatchewan, Toronto & I was fortunate enough to win 2 Grey Cups (2007 & 2012). I also scored a touchdown in the 2010 Grey Cup & remain the only Offensive Linemen to ever score a touchdown in Grey Cup History (if you are curious you can YouTube the play haha). I retired in January 2014 to focus solely on my real estate career which had kept me quite busy since I started in 2009. I have been and continue to be involved in the community with different school programs, talking to young students about important issues such as bullying, making healthy decisions, staying in school & recycling. My love for real estate emerged when I purchased my very first home in Regina (SK). To be honest the process of purchasing a home seemed so difficult & complicated to me in the beginning that I didn’t even know where to start. After speaking to a few friends about what I should expect through this process, I began meeting Realtors to help me with the purchase. The agent that helped me through the process was not only knowledgeable in real estate but she also treated me as if I were family…we still talk every few weeks to catch up! Purchasing a home has been one of the best feeling & pleasure in my life and I decided I wanted to help others through this process to make sure they enjoyed it as much as I did. 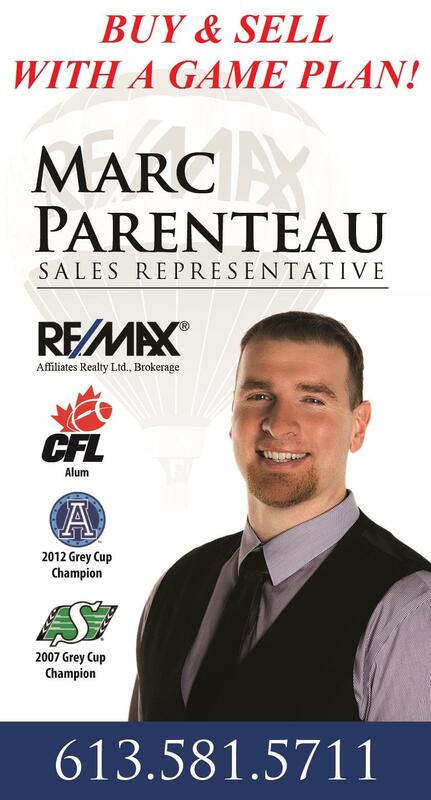 Just like being a professional athlete I believe that an agent needs to be hard working, loyal, detail-oriented & passionate to help their clients and I believe it is this formula that will allow me to help you with any real estate need you have. I look forward to meeting you!